This familiar phrase is spoken everyday by airline pilots all around the world. I’m here to share a positive message with you that will provide a unique, positive perspective about airline crewmembers and how leadership and a commitment toward excellence, plays a vital role in the success of flying airplanes. This information can be applied to any situation by anyone looking for better results in life. When I was 9 years old, I knew I wanted to fly airplanes. I was fascinated by every aspect of aviation and knew that was going to be my career field of choice. To this day, with over 16,000 hours in the air, I am still in awe of what it takes to be successful as a pilot, and still appreciate what pilots do on a daily basis, including what we do to achieve success. Over the course of many years, I’ve had the pleasure of meeting and associating with a number of other successful people in life, in and outside aviation, who have similar success stories. The common denominator in all of these success stories is that these individuals possess what I like to call, “The Right Stuff”. From a pilots perspective, many of the ‘Right Stuff’ principles, go beyond just technical flying skills. The right stuff principles are also heavily influenced by Leadership and a personal commitment to excellence. Leadership you say? It’s a buzz word and often hard to describe in just a few words. However, all of us know when we see a lack of leadership, which is common in today’s world, in every area of our life, from our Unions, Businesses, Governments, Churches and Schools, to our own family lives at home. Does Leadership Matter? It sure does! Leadership principles apply to everyone in any situation. Ive heard some individuals referred to as ‘natural born leaders’. While there may be some truth to that based on an individual’s personality, true, effective leadership has to be taught and practiced on a regular basis. It’s taking personal responsibility for all of your actions. Leadership is influence, plain and simple. Those who have very little leadership ability can learn to be a leader, no matter who they are or what their background is. 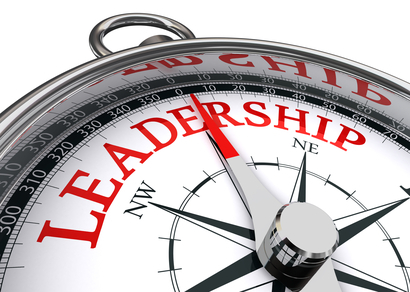 Those who set a course to begin learning about leadership, begin to develop both personally and professionally. As a result, Amazing things start to happen. Pilots, as an example, have learned how to apply these crucial principles day’ in and day out and apply the “Right Stuff” principles on a routine basis. The results of applying these principles can be life changing. Anyone can learn how to apply the right stuff principles to their personal and professional lives. However, there can be obstacles that potentially prevent them from ever breaking ground and taking off. Individuals elect not to learn, improve, or grow. Most are not even aware of the benefits of leadership, personal or professional growth. If they do somehow get a glimpse of the impact that leadership has, , many won’t change simply because ‘ that’s the way they are’ . There’s no helping those who do not wish to change. Trying to change someone’s opinion or habits is like trying to put toothpaste back in the tube or pushing up on a rope. The only way people will change is if the pain of remaining the same is greater than the pain of change. Otherwise, it can be difficult to change. In most cases, we are our own worst enemy. It’s not easy but once we get past our own issues, we have a much better chance to succeed at whatever we put our mind to. They don’t have a dream or a reason why they would change or do anything different. It’s uncomfortable to change. People don’t like to get out of their comfort zone. Those who do embark on a journey of education towards success, are not consistent long term. A single book, seminar or audio cd cannot produce long term sustainable growth or results. It takes a realization that the last ten percent of effort towards any goal is what produces 90 percent of the results. To quit prematurely is a guaranteed failure. This is why New Years resolutions fail , or any goal for that matter, which requires time , effort and energy. There is a price to pay for success. The only question should be whether or not we are willing to pay the price. Almost every obstacle above has to do with us! Our thinking is what creates our actions, which generate whatever results we achieve. Its often a matter of a simple decision and a commitment to follow thru. So what if everyone applied the “Right Stuff” to their lives? What if everyone ran their business, performed their job, built their relationships and worked with others, as if their life and the lives of others depended on it? Pilots do this on an everyday basis. The end result is often predictable. Some would argue, “But I’m not flying an airplane and there are no lives on the line.” That may be true, but what’s the difference? Why do some succeed in life while others don’t? Why do some people say it can’t be done, while others get it done? Why do some make things happen, while others wonder “what happened”? Why do certain individuals always seem to succeed at whatever they do, no matter the circumstances? How does competence, confidence, skill and proper attitude apply here? Success principles apply to everyone, including pilots. If you apply them and adhere to them long term, it does not matter what your circumstances are. You can be successful at anything you put your mind to, especially if you apply the “right stuff”. For those who have circumstances that keep them from success, there are in fact those who have worse circumstances that still find a way to succeed. I’ve heard the quote, ” Failure is not an option.” That is not true. Failure is an option; it’s just not a good one. Success becomes a matter of a simple decision. Can and will you do what is necessary to succeed, regardless of the circumstances? It comes down to our thinking and adopting the right attitude. This very concept and perspective could change everything. Given the right training, education, attitude, determination, motivation and tenacity, anyone can succeed. So how do you acquire the “Right Stuff”? Before I tell you “how”, remember that the “why” is just as important. “Why” would you want to get better, grow as a leader, become the best at what you do and strive for excellence? Everything in Life gets better when you chose to strive for excellence. Anyone with results will tell you that the results are worth the effort. Once you start your leadership and personal development journey, those benefits will be revealed. Of course, the pain of remaining the same has to be greater than the pain of change. You cannot change what you can tolerate. Some may not feel the need to change. True leaders never stop striving to learn, read, or grow in their personal or professional development. Leaders implement the “Slight Edge” principle which promotes the concept that it’s the little things we do over time that produces long term sustainable success. Just remember the last time you poked your head into the cockpit. Know that the pilot’s you rely on and trust with your life, all possess those qualities-all of which you can utilize for success in both your professional and personal life. It’s inspiring to meet successful people in life. I have a lot of respect for my fellow aviators and peers in and outside of aviation. The great news is you can acquire the “Right Stuff” and lead from right where you are, no matter who you are, and succeed in whatever you do. In our upcoming book, we share many of the “Right Stuff” principles and practices you can learn and utilize, to help you succeed. Imagine learning those critical components utilized in today’s modern cockpit and applying them to your life and help you succeed in everything you do. ATTITUDE– Attitude is everything. No matter the circumstances, have a great attitude. A great attitude is contagious. 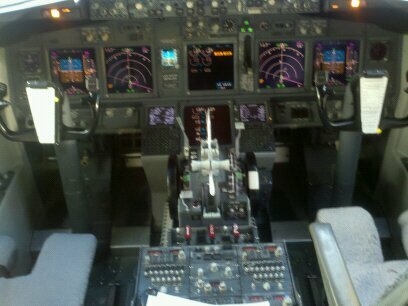 In the cockpit, the proper attitude is not only essential to safety, but guarantees that everyone enjoys working with others and makes for a pleasant work environment. Always strive to have a great attitude in everything you do. It will shine at home and at work! TRUST– Trust is earned. Do the right thing, be predictable, open and honest. Those who trust you, will listen and follow you. In the cockpit, we trust our lives in the hands of our fellow co-workers. Over time, the level of trust you have with someone helps build a great relationship. Blind trust may be required initially, until proven otherwise but trusting others takes time. Breaking someone’s trust can happen instantly. Be careful not to ever do anything to compromise that trust. ‘The quality of being honest and having strong moral principles; moral uprightness. It is generally a personal choice to uphold oneself to consistently moral and ethical standards. In ethics, integrity is regarded by many people as the honesty and truthfulness or accuracy of one’s actions’. Integrity is a critical attribute for success, but a person can have integrity and still not have character. Integrity is not doing wrong, while character is doing what is right, because it’s the right thing to do. A person with character refuses to surrender their principles no matter what, understanding that it is more important than comfort or reputation. Character is more than just what a person says or does; its who a person is. Someone that displays both character and integrity, gain and earn trust among their fellow co-workers and that helps guarantee success. COMMUNICATION SKILLS– Although a basic principle, good communication cannot be over emphasized. Verbal communication is only a small percentage of the equation. Proper body language and clear, concise communication, helps minimize misunderstandings. In the cockpit, communication is vital. Crew members not only communicate via radio, but with fellow co-workers and customers. Understanding and learning different personality types helps to communicate better. Learn some of the barriers to communication and be prepared to implement new ways to communicate your thoughts, ideas, opinions or intentions. CONFLICT RESOLUTION SKILLS– You cannot go through life without conflict. Learning how to deal with conflict is critical to your success in both your personal and professional life. There are many dynamics to learning how to resolve conflict but once you do learn how, you will be amazed at the result. In the book, “Resolved- 13 Resolutions for Life”, Written by Leadership guru, Orrin Woodward, he teaches the 5 steps to conflict resolution. Affirm the relationship, seek to understand, seek to be understood, own responsibility by apologizing and seek agreement. Crewmembers have to deal with conflict everyday and our ability to resolve these conflicts quickly, are vital to safety and good decision making. Mastering Conflict resolution is worth achieving. Focusing on team work, win-win outcomes to achieve a common goal, will help you succeed. DECISION MAKING SKILLS– Knowing that the decisions we make on a second by second basis, affect the outcome of the situation, means that how we make decisions is important. Crewmembers have been trained on how to make decisions based on multiple factors. We can learn and apply how to make decisions to our personal and business life. ADAPTABILITY– We must learn to be adaptable. Change is the only constant in life and the ability to expect change, while having an alternate plan, is important. The ability to adapt and overcome to any situation is critical to success. In the cockpit, weather or environmental changes, emergencies or unexpected occurrences require crew members to be adaptable and to make the best of the situation. SYSTEMS THINKING– Theodore Levitt said, “ Discretion is the enemy of order, standardization and quality.” In other words, discretion is the enemy of duplication. We must learn to think in a systematic manner. Systematic thinking is the best way to achieve a specific goal or result. Learning to follow a pattern or proven model is important. All successful business models have learned systems thinking. On a personal level, discipline yourself to learn, read, grow, write down goals, and be consistent. Consistency and focus over time will help you accomplish your goals. In the cockpit, pilots have been systematically conditioned to operate a flight from Point A to B and to handle any situation or emergency through proper training and use of checklists. Duplication, standardization and predictability are crucial, not only for your customers but for your co-workers. Finding what works and applying what works consistently, is vital to long term success in any organization. BEING A TEAM PLAYER and DEVELOPING LEADERSHIP SKILLS– Working together as a team is critical to the outcome of your business, project or relationship. In the cockpit, it is an essential part of safety. The Captain, First Officer and cabin Crew of today’s airline, must work with each other effectively by utilizing what is called CRM, or crew resource management, to achieve success. The Captain of an airline sets the tone as the leader but the other crew members can equally set the tone as team players, willing to give 100 percent of their collective efforts to accomplish the best job they possibly can. Part of becoming a better leader is learning how to become a better team player and work as a team to accomplish a common goal. Developing Leadership skills and focusing to personal development is a long term commitment and not for the faint of heart. Best selling author Chris Brady said, “ Everyone will be called upon to lead. The question is, will they be ready?” There are many ways to learn leadership skills. The question is, will you do what is necessary to succeed? What if you are already successful and possess Leadership traits and skills? Learning and growing is a life long process. We must strive to get better everyday. It is better to be reminded that taught so maintaining a personal development program is important. What does that mean? It could mean as little as 15 minutes a day of reading or listening to audios from successful people. In life, your success depends on what you read and the people you associate with. If you want to be successful, find a mentor and learn true success principles from those who have already blazed the trail of success. CONSISTENCY– Being consistent helps to build great habits. Consistency helps us to form a discipline to do the right things long enough to achieve success. In the cockpit, pilots do their best to be ‘ Standardized’ , so that we do the same things consistently, which produces a predictable outcome. Sometimes pilots have to adapt to an unusual situation but remaining consistent in how we deal with that situation is what makes the difference. The other part of consistency is being consistent with others helps to build trust and better communication. If you are a hot head and let emotions dictate your actions, or react or respond differently to different situations, those around you will find it difficult to be around you. These are just a few of the ‘Right Stuff’ principles that anyone can apply to their lives. It’s important to note that some of these can be applied immediately, while others take time to develop. It all depends on the individual. Once you apply these principles and remain consistent over time, there is nothing you cannot achieve. Just like an airplane on takeoff – It takes a good portion of runway to gain enough speed to lift off. Leadership training and personal development are like the engines on a jet; the more efficient and powerful the engines, the faster you can get liftoff speed and be airborne. When traveling from NY to LA, coast to coast, just a couple of degrees off course could take you to a different destination over time. Little bits of education and application of these principles over time, will set your flight plan for success. You may not be able to change your destination overnight but you can change your direction. Start today and soon enough, you will soar above the clouds and reach your destination. Here’s to your success journey, may the wind be at your back.